Reinventing The Light Bulb Kit (review ) « Adafruit Industries – Makers, hackers, artists, designers and engineers! A fun science kit designed to excite and engage experimenters of all ages as they recreate the experiments that lead to the development of the first real light bulb. 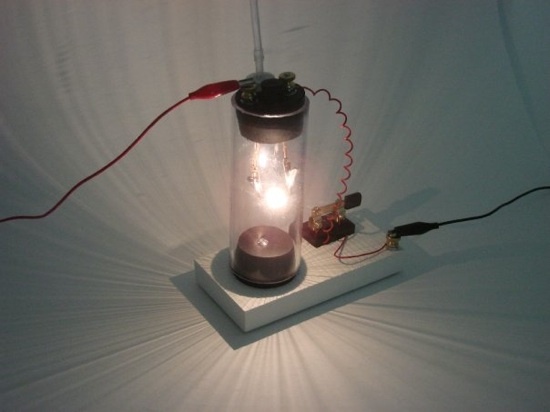 Build your own working light bulb using the included safety vacuum chamber and a number of different filament materials including carbon and tungsten.